located in the exclusive town of San Pedro Garza Garcia, just outside of Monterrey, Nuevo Leon. 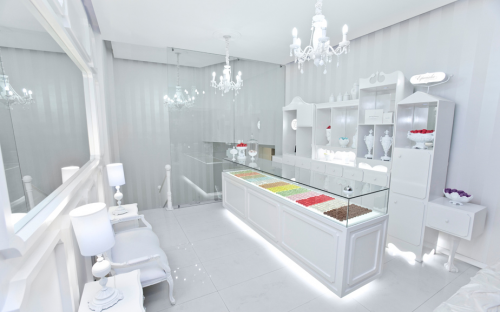 Theurel and Thomas is a French pastry shop focused on the art of the macaron. The all white interior creates a glorious stage for these colorful pastries.